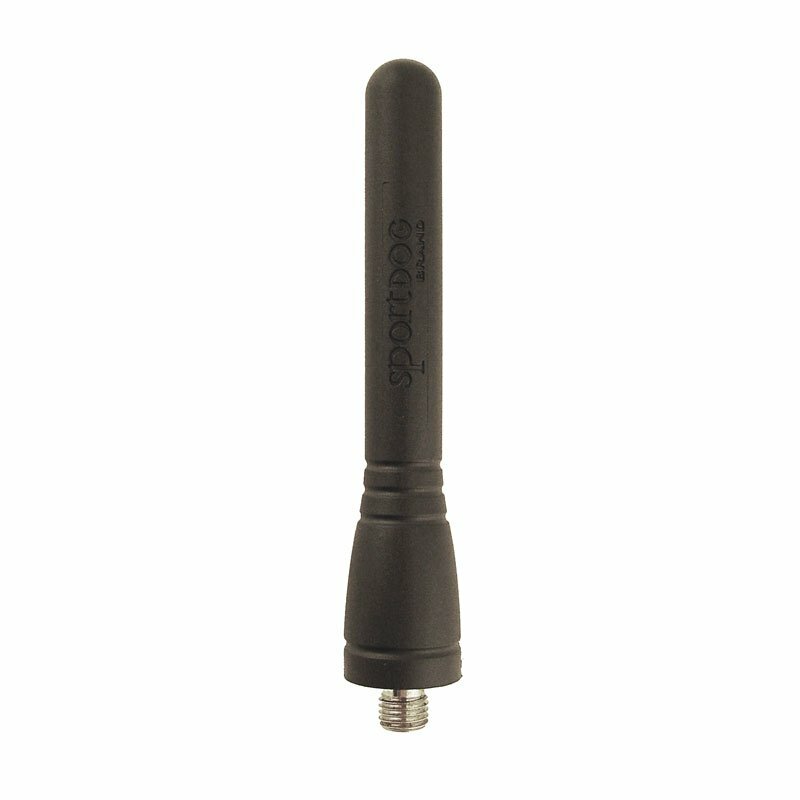 SportDOG 3 inch Antenna for SD-825, 1225, 1325, 1825, 1875, and 3225. $19.95. I love Gun Dog Supply! Great products and prompt, reliable service! I love this product. The collars/antenna have been an excellent training tool for my dogs. They respond very well to the collars, and it has allowed for safe off-leash activity which this breed absolutely requires and thrives on. Thanks! Works great! Just like the original. This past summer we rescued two mixed bred dogs from the local Humane Society. They were both strays found on the streets and look amazingly similar. They both have a wandering streak, so we purchased a 2-dog training collar system, to try to deter them from running off. We purchased this antenna to replace the original one that came on the transmitter because one of the dogs chewed the original one. Kind of funny if you think about it. Coincidence, or did he know what he was doing? Regardless, this was an exact replacement for the original antenna and works great. "It works great and is easy to use." It works great and is easy to use. "It shipped the same day I ordered it and arrived quickly." It shipped the same day I ordered it and arrived quickly. Gun Dog Supply is a pleasure to do business. I use them for all my dog's needs. Very happy! "Very pleased with this product." Very pleased with this product. More impressed with your service and selection. "It increases the range dramatically when you have it versus not. Kinda like they intended." I lost my original antennae and had to replace it. It increases the range dramatically when you have it versus not. Kinda like they intended. Make sure it's tightly screwed into the transmitter!!!! Couple of drawbacks. Only one replacement style available, I would like a longer, better range antenna. Also lost the antenna while hunting today and now need to buy another one. Frustrating. Also fits SD-800 systems with transmitter version ST-120B. 3" replacement antenna from SportDOG. Fits SD-825, SD-1225, SD-1325, SD-1825, SD-1875, and SD-3225. Also fits SD-800 systems with transmitter version ST-120B.